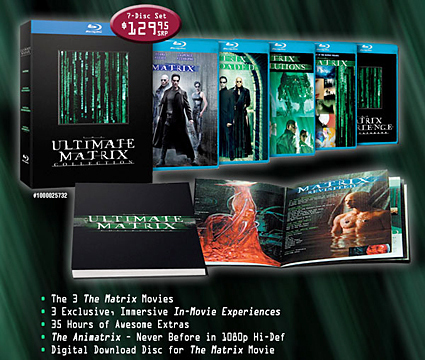 Full specs for Blu-ray box set have not yet been revealed, but preliminary details tout "35 hours of extras" and In-Movie Experience picture-in-picture commentaries for all three films, and the full supplement package is expected to match those found on the HD DVD version. Suggested retail price for the Blu-ray is $129.98. 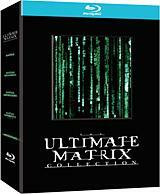 As we await more details, you'll find the latest specs for 'The Ultimate Matrix Collection' linked from our Blu-ray Release Schedule, where it's indexed under October 14.